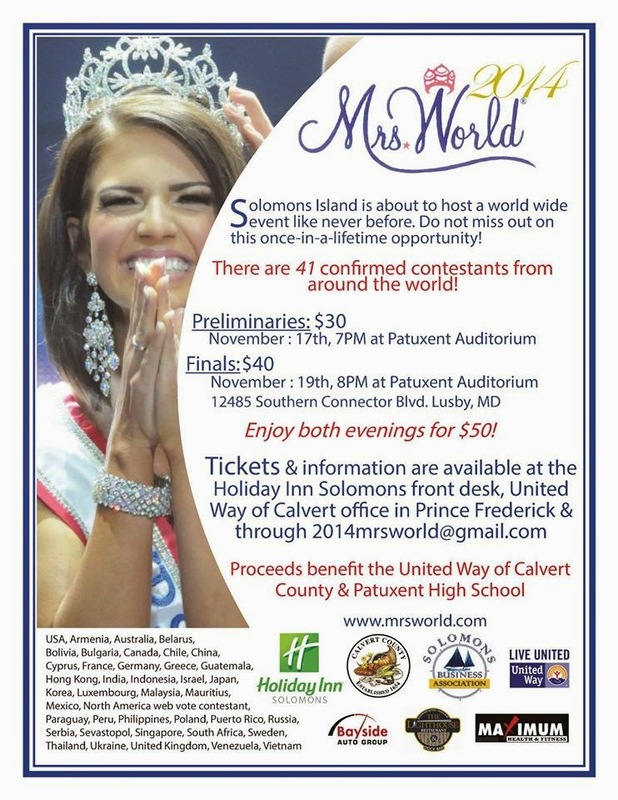 Mrs. World 2014 (18th edition) will be held at Solomons Island Maryland from November 11-19, 2014. The Coronation Night is scheduled on November 19 at 8:00pm EST (November 20, 9:00am in the Philippines) at the Patuxent Auditorium in Lusby, Maryland. You can start watching at past 29:50 of the video. The show started with the recorded introduction of each candidate. Mrs. Philippines Marlan Sabbun-Manguba is a mother of five, and has 1 grandchild. Marlan is a Personality Development Coach and an Interior Designer by profession. The Concept for “Mrs. World” has its roots in one of the oldest and most respected of all competitions -- “Mrs. America.” That extravaganza was reorganized by David Marmel featuring a more contemporary and glamorous approach. While beauty is the key element, contestants are also urged to voice their opinions about marriage and current events. The pageant started in 1985 and this year is the 18th edition. No pageant was held held between 1990–95, 1997–99, 2004, 2010, and 2012. That's 12 years in gaps.